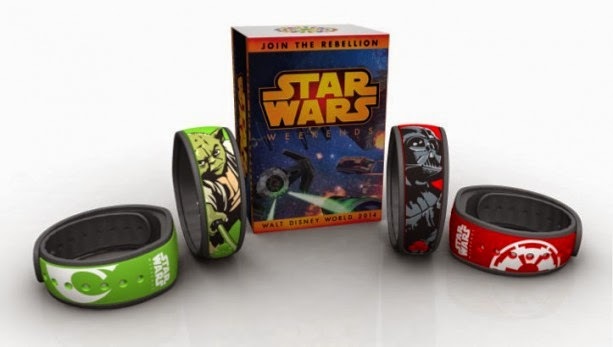 We all knew this was coming…Disney will release two limited edition MagicBands for the final weekends of Star Wars Weekends. There have been a few specialty printed Magic Bands since they made their debut, but this is the first time that a printed design MagicBand will be sold. There will be a green retail MagicBand with Yoda’s image and a red retail MagicBand with Darth Vader’s image - note that they match the color of their respective light sabers. The bands will be limited to an edition size of 2500 each, packaged in a decorative Star Wars Weekends box. As with all retail MagicBands, you will need to link the band to an existing My Disney Experience account at the time of purchase. The cost of the bands is currently set at $29.95 plus tax. Downtown Disney will once again see the return of 'Car Masters Weekend' at the West Side on June 14 - June 15, 2014 from 9:30am to 6pm. Here is a full rundown of what you can find at the event. The master designer provides insight and details about his legendary involvement in the automotive industry. Join Director/Co-Writer Roberts “Bobs” Gannaway and Producer Ferrell Barron as they chat about their new film. Get up close to real-life supercars and learn how you can get behind the wheel. This year, kids are invited to ride along with Piston Cup Racers Aiken Axler and Sage VanDerSpin at Walt Disney World Speedway. Enjoy the finale of Cars Masters Weekend and celebrate the winners of the Downtown Disney Car Show Presented by Meguiar’s. The ceremony takes place between La Nouba by Cirque du Soleil and House of Blues on Sunday at 6pm. Complete a voting ballot for the case show and you will receive a coupon for a 20% lunch discount to use at any of the following participating Downtown Disney restaurants. The Yankee Trader in Liberty Square at the Magic Kingdom is scheduled to be closing for refurbishment from July 7 to September 30, 2014. It is expected that the store will be transformed into a new Haunted Mansion gift shop, that will feature an on-ride photo pickup location, along with a range of Haunted Mansion merchandise. The new Haunted Mansion on-ride photo opportunity is speculated to take place in the hitch-hiking ghost scene. The FastPass+ experience group tiers are about to change for both Epcot and Disney's Hollywood Studios. Effective now, FastPass+ selections for June 16, 2014 and later will be subject to the following changes. At the Studios 'The Great Movie Ride' moves to group 1. At Epcot 'Living with the Land' moves to group 1. At Epcot 'Character Spot' and 'Maelstrom' move to group 2. If you already have selections made from the old groups, they will continue to be valid unless you cancel them. Here is the full updated line-up. Disney's Animal Kingdom and Magic Kingdom do not make use of experience groups. Beginning today, a 20 percent merchandise discount can now be yours by dining at certain Walt Disney World quick service restaurants. By dining at one of the participating restaurants, you will receive a coupon attached to the bottom of your receipt. The discount is available from June 10 to July 15, 2014, available only from store opening until 1pm. Check the list of participating locations below. 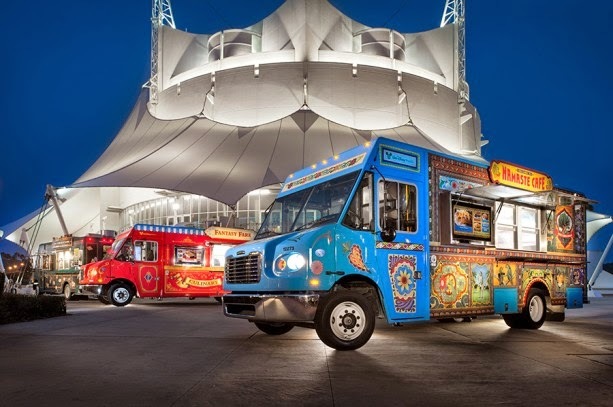 Downtown Disney will be hosting a local food truck event later in June at the West Side. 'Trucks on the Town' will take place on June 21 2014, from 5pm to 10pm, and will feature 14 food trucks. The Daily City has published a list of the trucks attending the event. The Intermission Food Court at Disney's All Star Music Resort will be closing later this summer for a major refurbishment. Currently scheduled to close on August 1 2014 through to December 20 2014, it is expected that the restaurant will receive an update similar to the one carried out at the All Star Sports Resort End Zone Food Court last year. You can see the how that turned out here. During the refurbishment there will be a temporary grab 'n' go location setup in the Melody Hall lobby arcade area. Offerings will include salads, sandwiches and desserts. Refillable mug stations will also be provided. The Singing Spirits bar will remain open during the work, and will also provide food options and a refillable mug station. As another alternative, there will also be transportation to Disney's All Star Sports Resort to make use of the recently refurbished End Zone Food Court.